An assortment of large to macro volume pipette tips is offered ranging from 100 – 10,000 µL, fitting almost every brand of pipettors. Rose Scientific offers the widest selection of pipette tips for use with practically all brands of pipettes, in varied selection of types and sizes such as sterile, non-sterile, extra long, bulk packs, racked packs and filtered types for aerosol protection. 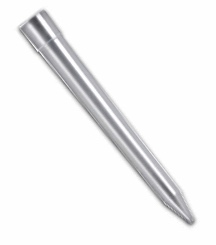 Call Rose Scientific for help to find a suitable tip for any pipette that is difficult to fit.